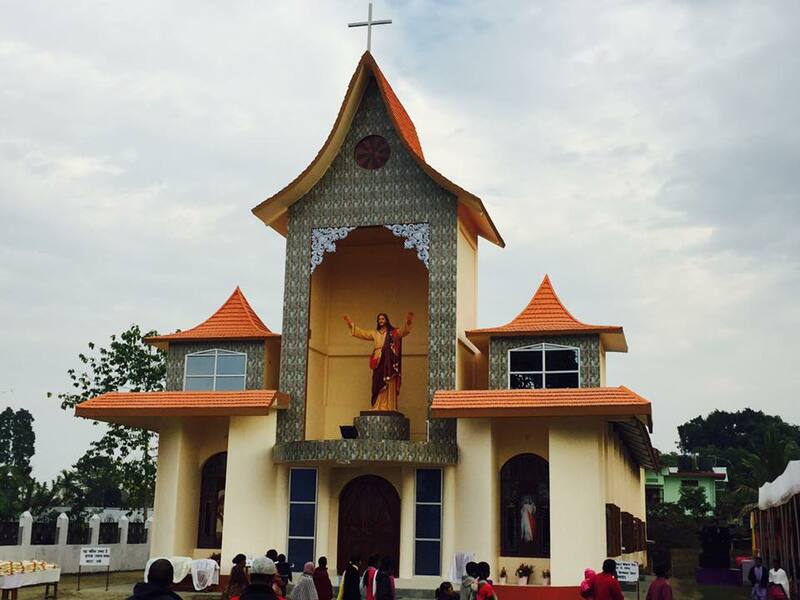 The faithful of Kumari Parish were blessed with beautiful new Church on 28 January 2017. Mount Carmel Church, Kumari, had a very humble Church made of bamboo with thatched roof and it was blown away by wind during the rain in April 2015. And the people were having their Mass and prayers at a make-shift bamboo structure during the last two years. Meanwhile Rev. Fr. Jaison OCD, the Parish Priest, collected funds to build a concrete Church building. The beautiful new Church was blessed by Rev. Fr. Provinical OCD and was dedicated by Bishop George on 28 January 2017. Hon’ble Deputy Chief Minister of Arunachal Pradesh, Mr.Chowna Mein was the Chief Guest at the cultural function held in honour of the inauguration. He appreciated the great contribution the OCD missionaries have rendered to thee people in and around Kumari. “I am so happy to be a part of this holy occasion and I hope this new Church indeed becomes a connecting point between God and His people”, he said.